Taylor Swift has done it again. 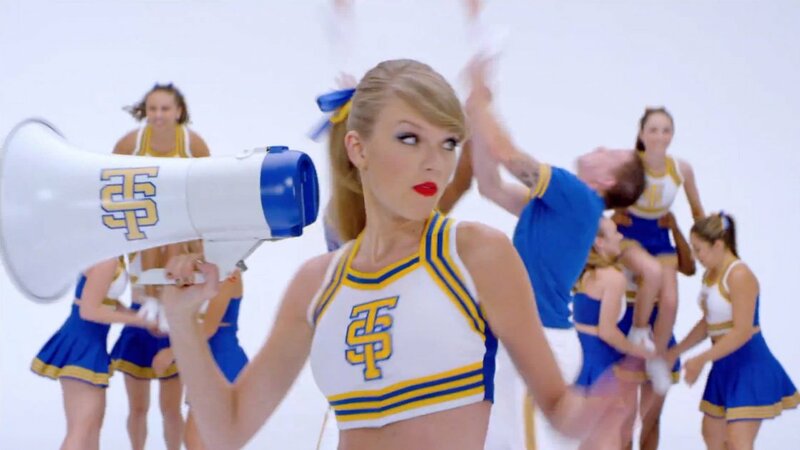 Moments ago, she released her latest catchy pop song, "Shake It Off," and its accompanying official music video. This is a really fun clip that explores most genres of dance, with Swift intentionally dancing badly for the sake of comedy. While this is a very new direction for Swift, in terms of sound and production, it suits her, and I'm sure her fans will really enjoy her youthfulness and humor in this song, which was co-written and produced by Max Martin. Her upcoming album will be called 1989 and the expected release date is October 27th, 2014. Pre-order is available now on Amazon. For more on what's going on in Swift's career, head to her Zumic artist page for the latest in music, news, and tour dates.